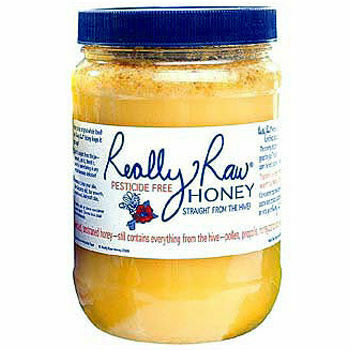 One whiff of Really Raw honey, with its distinctive aroma of wildflowers, tells you this is something special. With your first taste, you"ll know you are eating something utterly extraordinary. Crunchy bits of honeycomb, pollen, and propolis speckle the top in hues of brown, gold, and amber--these are the "Crown Jewels" of Really Raw Honey. 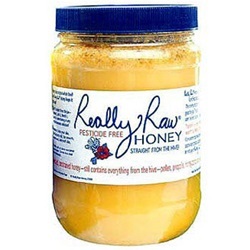 Stir it in, spread it, eat it right from the spoon--Really Raw Honey is rich with live enzymes, vitamins and trace minerals! The flavor is unlike any honey on the market. The bees choose the color, flavor, and texture of our honey by the varieties of wildflowers and herbs they forage. The beekeepers retain these qualities, and all the nutrients the bees put in, by making sure that the honey is never strained, never filtered, and never heated.